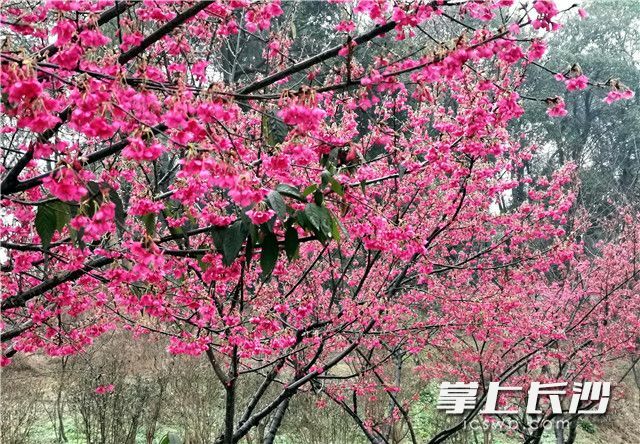 Photos, taken on February 13, show red cherry blossoms in full bloom in the Changsha Landscape and Ecology Garden. 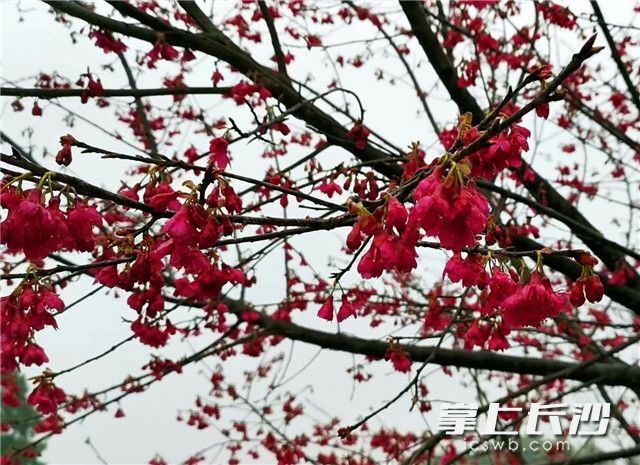 Recently, over 100 cherry blossom trees in the garden have bloomed in spite of chilly weather, becoming the earliest ones that put forth their blossoms. 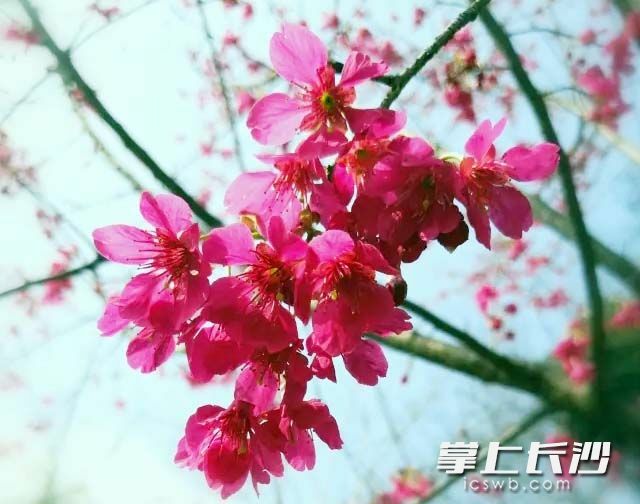 They made the city more beautiful.